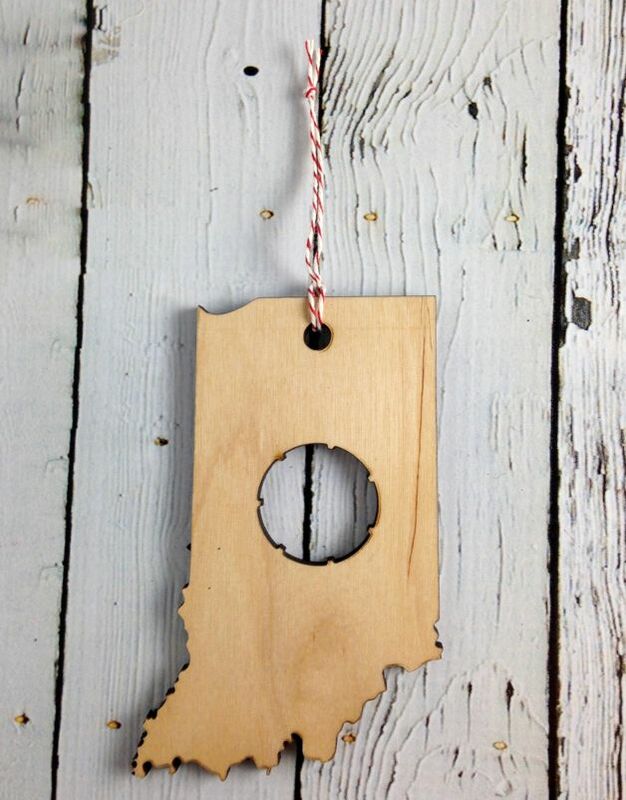 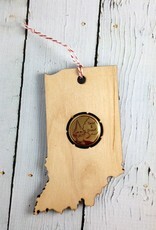 Indiana Beer Cap Ornament made from laser cut wood. 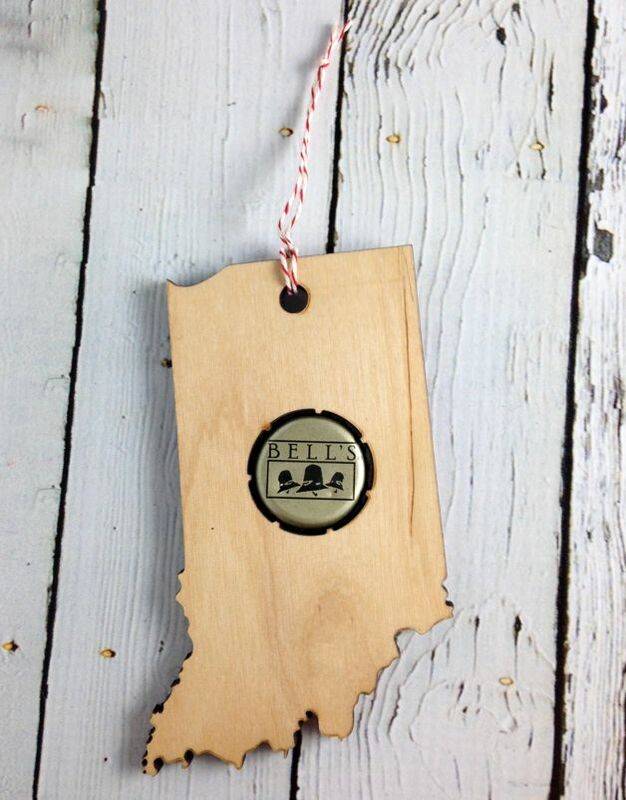 Makes a great gift for any beer lover or hoosier! 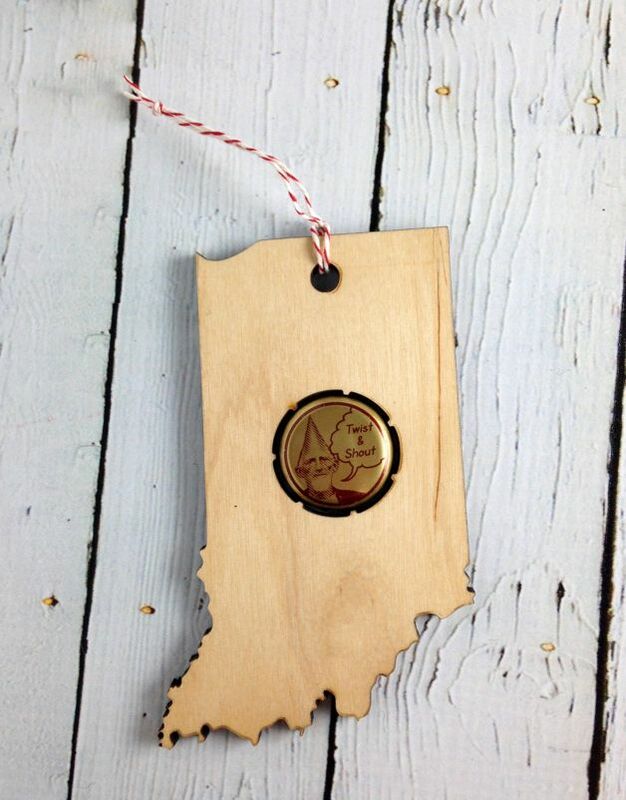 Holds one beer or soda cap. 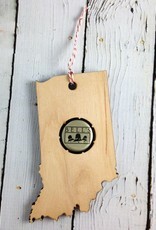 Measures 4.5" x 3" x .25". 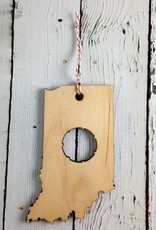 Comes with bakers twine or natural twine.